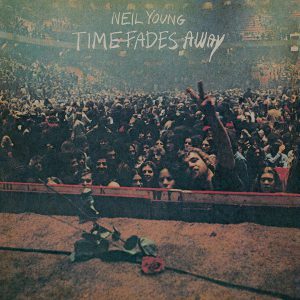 While it has a checkered history, Time Fades Away is actually a pretty important album within the context of Neil Young’s career. First off, it truly marks the first time he defied expectations, in this case, the willful withholding of what the audience wanted, which was a follow-up to Harvest. And finally, it’s the first time we see what I now think of as the “Neil Young font:” his all-uppercase scrawl on an album cover, which — to me at least — has historically meant that the album is slightly more personal to him. Other albums that feature it include Tonight’s The Night, Rust Never Sleeps, Freedom, Ragged Glory, Year of the Horse, Prairie Wind, Fork in the Road, and Peace Trail. Of course, it could also mean that nobody came up with an actual font he liked that year, as well. That said, it’s one of the cultiest albums of his entire career: the tour, which started out with Neil packing Danny Whitten back to L.A. w/ $50, whereupon Whitten promptly OD’d, was a bit of a disaster. Not only were the audiences expecting more acoustic material, they weren’t expecting a whole bunch of new songs. Meanwhile, Neil was having issues with the Stray Gators, the name for the band consisting of Ben Keith, Jack Nitzche, Tim Drummond & Kenny Buttrey, which had backed him on much of Harvest, to the point where Buttrey quit and Johnny Barbata took over the drums. 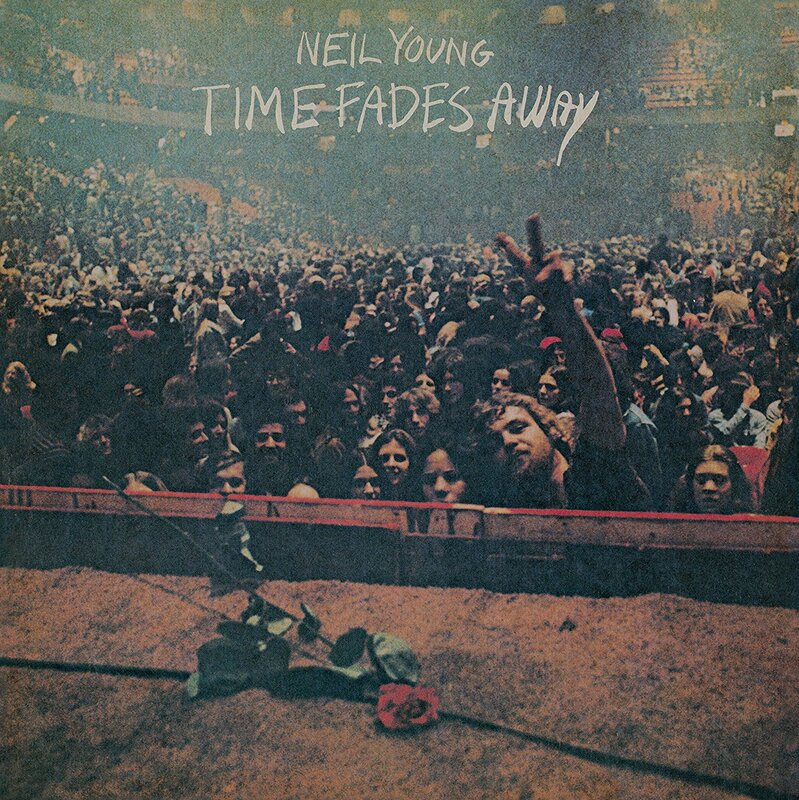 So, as far as Neil is concerned, Time Fades Away is a snapshot of an incredibly unhappy time, and his distancing from it began with not including any of its songs on Decade, and continued right through last year, when it was finally released on CD. And even then, it was part of a multi-album set that included On The Beach, Tonight’s The Night & Zuma. All of this chicanery has meant that it’s long been a underheard item in Neil’s catalog, despite revealing itself as a top-tier Neil album, alternating between tough, ragged rockers like the title track and “L.A.” and sparse piano ballads like “Journey Through The Past,” which — of course — wasn’t on the Journey Through The Past soundtrack, because what fun would that be? The highlight, however was the Buffalo Springfield origin story Don’t Be Denied, which features a riff that echos the melody of the chorus, and opens with his parents divorcing and his family moving to Winnepeg, which is where he discovered his vocation. Of course, our new mortal enemy Canada was too small for Neil Young’s ambition, so he set off for the bright lights of Hollywood, where as the story goes, he came across old friend Stephen Stills in a traffic jam, and they formed Buffalo Springfield. This is all moving at a glacial pace, Drummond & Barbata playing the trademark kick-kick-snare rhythm, only slightly picking up during the choruses, which is a single phrase repeated over and over and over, accented by both Neil’s guitar and Jack Nitzsche’s piano. At the end of song, however, Neil reminds us that maybe he’s not as financially well off as you might think from all of his success (I mean outside of the ranch & all of the cars), calling himself “a pauper in a naked disguise / A millionaire in a businessman’s eyes” as he reminds us one final time to not be denied. Like much of Time Fades Away, “Don’t Be Denied” isn’t exactly the most uplifting tune in Neil’s canon, but on the other hand, it’s one of the most defiant and telling: in terms of following his own muse, Neil Young has spent nearly his entire career not being denied, often at personal cost.